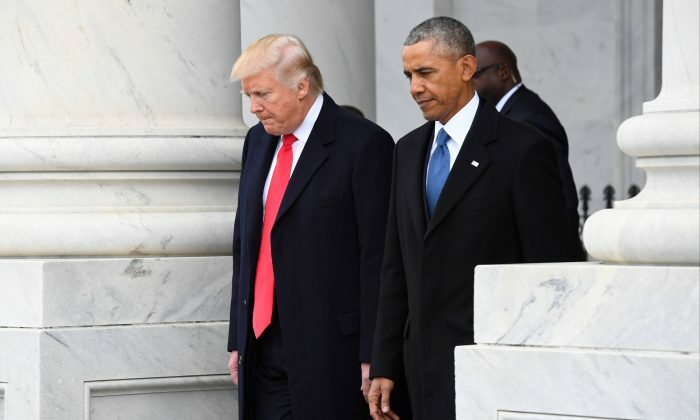 WASHINGTON—The U.S. State Department said in a report released by the investigative arm of Congress on Jan. 17 it may recommend President Donald Trump revoke an Obama-era order directing federal agencies to consider climate change in international development programs. Such a move would deepen the Trump administration’s already broad rejection of former President Barack Obama’s policies on global warming, which Trump has repeatedly suggested is not as serious as some scientists claim. The State Department said in the General Accountability Office (GAO) report published Jan. 17 that its foreign assistance and budget bureaus “will begin working with stakeholders to consider whether to recommend that the Secretary [Mike Pompeo] ask the President to rescind” the order. The State Department’s response to the GAO was a highly unusual way for a federal department to signal potential policy initiatives, said a GAO official, who spoke on condition of anonymity. Trump has made reversing Obama-era executive orders and regulations on climate a priority since his early weeks in office, mainly as a way of reducing the regulatory burden on the oil, gas, and coal industries. By Timothy Gardner. From Reuters.